On June 20th, 2013, my supervisor, Dr. Heather Laschinger, hosted a wonderful research colloquium with invited researchers from around the world who all have a special interest in gaining a better understanding of the challenges facing new grads during their transition from student to professional nurse. I feel so fortunate to have been invited! It was a fantastic day of sharing ideas and research results, as well as thinking about what we can do moving forward to help nurses transition into their new roles. 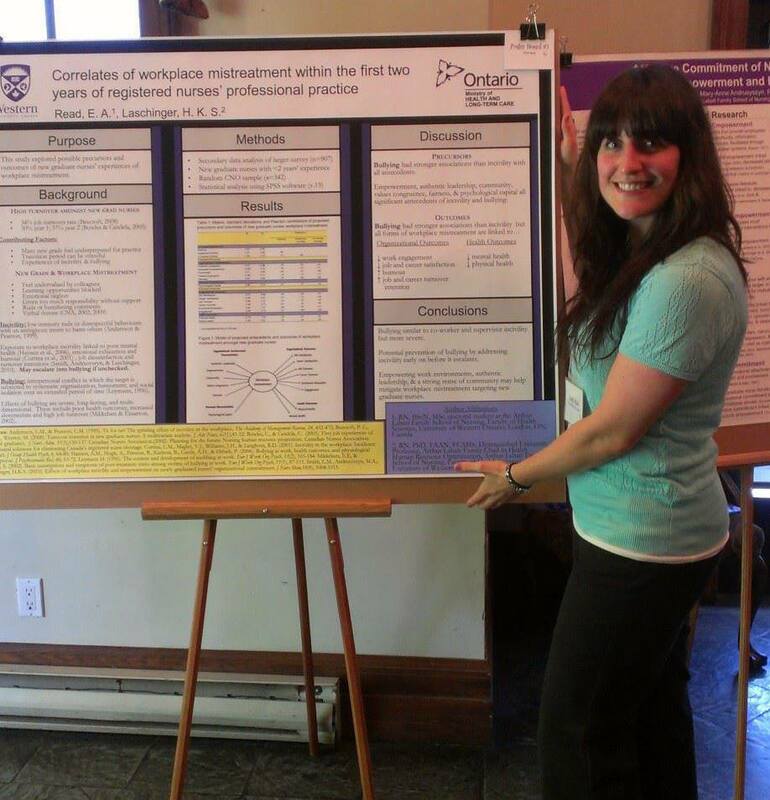 I also had a chance to share a poster of my recent work about correlates of workplace mistreatment (i.e. incivility and bullying) directed towards new nurses in Ontario. I wish that kind of research wasn’t needed to begin with but I think a lot of it has to do with structural factors of the work environment (e.g. leadership, workload, resources, support, etc. available to do your job) and personal factors that individuals bring with them to their job. It is challenging to be kind and happy when you’re working overtime, have a heavy patient load, and are exhausted! Nurses are valuable health human resources and we definitely have some work to do in supporting them/us and in particular, during transitions to new career roles (new grads or otherwise!). Overall it was an inspiring day and I am so thankful that so many knowledgeable and fabulous guests were able to attend! Christine also did a terrific job putting the event together and making the day run seamlessly 🙂 Nicely done everyone! ‹ PreviousAre nurses too fat?